ARBOR TRACE Condos: JUST REDUCED! THIS ONE IS A MUST SEE! EXCEPTIONAL VALUE! UPDATED & MOVE-IN READY! This clean & spacious 1 bedroom condo is located in Arbor Trace, an active and caring independent living adult community with a prime location west of 41, exceptional resident amenities and activities and lush, tropical surroundings. This FIRST FLOOR unit has CROWN MOLDING, is NEWLY PAINTED and has a NEWER KITCHEN WITH UPGRADES (see photo captions for details), WOOD PLANK FLOORING in main living and dining areas, built-in wine rack, modern fixtures, washer & dryer in unit, screened lanai and more. This unit also has a separate AIR CONDITIONED STORAGE CLOSET. Residents can enjoy all of the amenities and activities including the 17th floor Top of the Pointe Club with spectacular, unobstructed views of both the bay and Gulf of Mexico, club facilities, fine dining, fitness room, pool, spa, tennis, bocce, putting green, transportation and more. Residents can choose the level of housekeeping and maintenance services to match their preferences. Assisted living is available on-site and 24/7 emergency monitor provides peace of mind. PALM CREST VILLAS at PALM RIVER Condos: REDUCED! OWNER SAYS SELL NOW. LOWEST PRICE in the neighborhood! New Roof on Building!! Appraisal available roughly 2 years old for $140, 000! Available upon request. this is an affordable 2 bedroom, 2 bathroom condo in the heart of Naples. New tile in kitchen and 1 of the bathrooms. New carpet! Unit is ready for your personal touches and updates. The kitchen is open, and a good size, but needs updating. There is a carport, and another deeded parking spot. The community pool is just downstairs. This is a great area of town, practically the center these days! See confidential remarks. ST ANDREWS MANOR at PALM RIVER Condos: Very nice second floor condo with beautiful golf course views! Small complex with a private pool. Brand new roof!! One of the best values in Palm River! NAPLES KEEP at PALM RIVER Condos: Rarely available SECOND floor condo with new flooring and fresh paint. MOVE-IN READY! Naples Keep is in the highly desirable Palm River location in North Naples. Close proximity to Mercato Shoppes, five minutes to the beach and thirty minutes to the Ft. Myers airport. This is your opportunity to own a little piece of paradise for an unbelievable price. NAPLES KEEP at PALM RIVER Condos: This 2 bedroom 2 bath first floor condo is located in highly desirable Palm River community in North Naples. 20 inch porcelain tile through out, crown molding, newer AC and fresh paint. Overlooks open are and pool. Lowest fees around at 250 a month. Pool has just been completed with new tile, coping and pebble finish and there was no assessment. Minutes to Mercato, beaches, shopping, dining and interstate 75. PIPERS POINTE at PALM RIVER Condos: BEST BUY ALERT! Pipers Pointe is a nice, quiet community, surrounded by single family homes, and so close to everything. Second floor condo location provides wide, relaxing views of lake, fountains, and walking bridge and is across from the clubhouse and pool. This deluxe floor plan offers large great room living area with vaulted ceilings, master suite with pretty lake view, guest bedroom/bath, and bright breakfast nook, plus full sized laundry with lots of cabinet storage. Hurricane protection is on all windows and lanai. Includes assigned carport space [Q202] with ample guest parking for visitors. Pipers Pointe has the perfect location - just 3.5 miles to the beach, less than 4 miles to Mercato, and it"s a short drive to beautiful downtown Naples. There"s dining and shopping just around the corner, too. Schedule your appointment - easy to see! HACIENDAS at PALM RIVER Condos: Affordable in Naples! Your chance to own a sizeable condo awaits in Palm River, an all-time favorite Naples development. This bright and spacious 2 bedroom 2 bath condo has updated cabinetry in kitchen, updates in bathrooms and youll enjoy the favored southern exposure from the more than generous lanai for your pleasure. A short takes you to one of the nearby plazas where youll find your choice of eateries, fitness/wellness center and more. Whether you have children, grand-children or you just love to play...youll be delighted to have Veterans Park with its friendly recreational areas just down the street and the Sun-N-Fun Lagoon, one of Collier Countys newest destinations, only minutes away. This is what is meant when you hear LocationLocationLocation! The Gulf of Mexico awaits! COCOHATCHEE CLUB at PALM RIVER Condos: LOCATION, LOCATION, LOCATION! Rarely Available Riverfront Condo located in North Naples with LOW HOA FEES! This Condo sits on the Cocohatchee River, with Captivating Water Views the moment you step in! This Close In Community is perfect for small Watercraft items like Canoes & Kayaks, also perfect for Bird Watching and Fishing just a few steps from your lanai! Centrally Located off of main intersection of Airport and Immokalee Rd. The Palm River Community is in Walking distance to Restaurants, Shopping, and it is close to the NCH Hospital, I75, THE MERCATO & only 3.4 miles from the Beach! This 2 Bedroom/2 Bath, Remodeled 1st Floor Condo features an Open Floor Plan, an oversized Master Bedroom, New Tile Flooring throughout the entire unit & Lanai. Remodeled Baths & Kitchen, New A/C Systems, & Tons of Storage. Private Washer & Dryer located in Storage Room off Lanai. Unit has also been freshly painted & offers 2 Parking Spots just outside your front door! Palm River is like a HIDDEN GEM; its very Centrally located, yet very private and away from any noise! Make an appointment to view this one today before it"s gone! HACIENDAS at PALM RIVER Condos: Fantastic opportunity to own an upgraded and recently furnished condo in Palm River. Quiet, remodeled, and close to community pool. Excellent North Naples location and minutes to: Wiggins Pass Beach, Hospitals, Dining, Shopping, Entertainment and other services. New A/C 2014, upgraded lighting, fixtures, et cetera...too many to mention. This turnkey condo is a great find. Be sure to check out the 3-D virtual tour...must see to believe. Don"t let this one slip away!! COCOHATCHEE MANOR at PALM RIVER Condos: This beautiful 2 Bedroom 2 Bathroom ground floor condo backs up to the Cocohatchee River and features long river views from the lanai & along the entire back of the building. In addition the entire interior has been newly renovated with High-End Water Proof Plank Floors throughout (with lifetime warranty), updated Bathrooms & Fixtures, and Fresh Paint throughout. This condo has a great Open Floor Plan with plenty of closet space and a separate laundry room. Cocohatchee Manor"s central location makes it ideal for any lifestyle; it is only 10 minutes from the beautiful natural beaches of Delnor-Wiggins Pass, I-75, and Shopping at Mercado. So whether you just want to relax at home sitting on the banks of the Cocohatchee River or want to go see the sites of Naples this condo is right for you. Don"t miss out on this great condo, schedule a showing today! COCOHATCHEE MANOR at PALM RIVER Condos: Your search for the perfect, affordable, centrally located, and easy to maintain first floor Naples condo is finally finished! This charming 2 bedroom, 2 bathroom condo has been completely renovated and features a modern kitchen with soft close cabinets, stainless steal appliances, granite countertops, designer backsplash, new easy to clean hard surface flooring throughout, and updated bathrooms. All the hard work has been done for you making this condo move-in-ready. Located in the heart of Naples just off of Immokalee road and directly on the nature filled Palm River, it has never been easier to take advantage of all of your favorite Naples attractions like shopping at Mercato or the beach just minutes away. Spend your mornings on your glass enclosed patio and watch turtles, fish, and birds in the river. You can even cast a line or launch a kayak in the back yard! Truly a nature lovers retreat and a peaceful setting that provides endless natural entertainment.  Flexible closing timeframe with a tenant currently in place (investor alert!) if you"re not ready to move in right away. Call for details or to set up a showing at this one of a kind condo. WEDGMONT at PALM RIVER Condos: REDUCED !!! ONLY 3 SHORT MILES TO NAPLES BEAUTIFUL BEACHES OR A 20 MINUTE BIKE RIDE. LIVE IN NORTH NAPLES WHERE ALL THE AMENITIES YOU COULD ASK FOR ARE VERY CLOSE BY. THIS HOME BOOSTS 2 MASTER SUITES WITH A GREAT ROOM CONCEPT. STORAGE ROOM JUST DOWN THE HALL. INVESTORS.... THIS COULD MAKE FOR A VERY NICE ANNUAL RENTAL INCOME. CLOSE TO BEACHES, SHOPPING, MANY RESTAURANTS, SAM"S CLUB, MERCATO, I75 AND MORE !!! PIPERS POINTE at PALM RIVER Condos: Well Kept, one owner, first floor condominium in a convenient location of North Naples. Enjoy a cup of coffee, or tea on this lake view lanai with Southern exposure. This furnished unit offers a full size washer and dryer, and the master bedroom, with a lake view, has a walk-in closet and bath with double sinks. Piper"s Pointe has two pools, and this unit is a short walk away from the smaller pool for your convenience and enjoyment. Brand new hot water heater installed in December 2018. Lanai has manual shutters for added peace of mind. MONTEGO MANOR at PALM RIVER Condos: Amazing 2nd floor fully furnished, low fee condo, overlooking pool, staring at LaPlaya Golf Course, and priced to sell at $25K below the next closest competition. Nice, quiet setting, yet just a moment to arterial roads to quickly get you to all the shopping, restaurants, golfing, and beaches, and year round events that Naples has to offer. Excellent area in which to walk and bicycle, and top rated schools. Enjoy a beverage at your weekly poolside get together with the neighbors, and grill out at either of your barbecue areas. You have your own covered parking space, plenty more spaces for guests, additional storage, and elevator service. Take quick advantage of this opportunity, and go play with your savings of tens of thousands of dollars! COUNTRY CLUB GARDENS at PALM RIVER Condos: Come home to this charming 2 bed, 2.5 bath townhouse located in one of the most desirable areas in North Naples.This end unit is in great condition and the only Townhouse to Country Club Gardens. New Stainless steel appliances, tile throughout the main areas and carpet in the guest bedroom and stairs.Palm River is located less than 10 min. from the beautiful beaches, shopping center, and restaurants. Schedule your showing today. MAPLELEAF VILLAS at PALM RIVER Condos: As you enter the private, fenced, patio area, you will be impressed with the professionally landscaped outdoor living space. Additionally, there is a sun filled deck accessed from the two spacious upstairs bedrooms. A lovely mirrored accent wall enlarges the main living area. All new impact windows and doors can be valued over $15,000. Additionally, a new roof, water heater, stainless steel refrigerator, built in microwave and carpeting make this move in ready condominium, a must see! Living without a neighbor above your residence is a rare opportunity under $200,000. This uptown, Palm River townhouse, is convenient to Gulf beaches, La Playa golf course, shopping, dining and variety of entertainment venues. PEBBLE SHORES at PALM RIVER Condos: By far the lowest priced 2 bedrooms and 2 bathrooms very well maintained first floor unit, with long lake and fountain view. Just a short distance to Gulf of Mexico sugar white sand beaches, restaurants, bars and shopping. Assigned, covered carport. Low condo fees, and just a short walk to the newly refinished clubhouse pool and spa. Brand new AC unit installed in 2018. Priced to sell!!! WEDGMONT at PALM RIVER Condos: THIS IS IT! The nicest condo for sale in Palm River for under $180,000. Upgrades list is very long as this home has new paint, new carpets, all bathroom faucets are new, brand new GE Profile Refrigerator just to highlight a few. 3rd Floor unit with elevator. 5 Units per floor and 15 units per building. Please check out our 3D matterport tour! 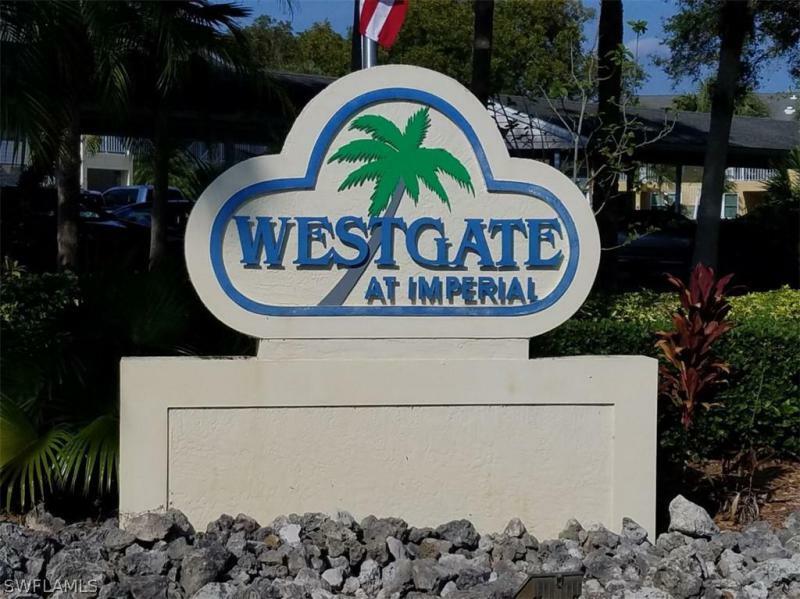 WESTGATE AT IMPERIAL GOLF ESTA at IMPERIAL GOLF ESTATES Condos: Motivated seller has moved out & does not want to become a landlord! Well cared for condo in Westgate at Imperial. Amazing location convenient to the beach, restaurants, and shops in both Naples and Bonita Springs. 2 bedroom 2 bath plus fully enclosed den that could be used as a 3rd bedroom. Large utility room with full size washer and dryer and plenty of room for storage. Split bedrooms with a master suite including master bath with walk in closet. Second bedroom and bath hallway with pocket door to create a second private suite for guests. Vaulted ceilings in large open spacious living room and large screened in lanai backs to foliage for privacy while still overlooking one of the 3 community pools. Assigned parking spot immediately in front of unit and lots of guest parking in immediate vicinity. Ready for immediate move in and partial furnishings and house wares available if desired. Optional golf membership with two champion 18 hole courses available but not required. PIPERS POINTE at PALM RIVER Condos: Lovingly-maintained by seasonal owners, this upstairs END unit is situated on a low-traffic cul-de-sac street and right across from the large pool. It features volume ceilings in the great room, panoramic views from the lanai of the lake and fountain and is ready for your special touches. Turnkey-furnished and ready for quick occupancy. Deeded carport space and extra storage too. Pipers Pointe is pet-friendly, offers two pools, a community room, is not a 55+ complex and offers one of the LOWEST CONDO FEES IN NORTH NAPLES. Prime North Naples location close to everything. Call today to arrange your private showing! ABBEY ON THE LAKE at IMPERIAL GOLF ESTATES Condos: First floor unit with lake view. HURRICANE WINDOWS AND DOORS (original cost $11,800). Updated eat-in kitchen with wood cabinets and granite. Updated baths with granite. Southern exposure. Crown molding throughout. Assigned parking spot (#102), is directly in-front of the unit. Newer carpet. Drinking water filtration system. Enjoy this North Naples location in a 24-hour gated community. Easy access to Delnor Wiggins State Park and Vanderbilt Beach. Coconut Point Mall located just to the north. Imperial Golf Estates equity golf at two championship golf courses. Tennis is also available. Low condominium dues make this the perfect winter getaway. SPANISH PINES at PALM RIVER Condos: Move in ready condo in amazing location in the heart of Naples west of I-75, just off Immokolee Rd. in the great neighborhood of Palm River! 3.5 miles to the beach! Great restaurants (Jimmy P"s, Fendandez de Bull, Boston Beer Garden, etc.) and shops within walking distance! 4 miles to Mercato for high end shopping/dining & nightlife. Tons of golf courses close by to choose from. This 2 bed, 2 bath condo has a huge lanai that overlooks the pool and pond area! Master bedroom with large walk-in closet! Both bathrooms are good size. In unit laundry is key. New A/C system, new flooring, new sink in master, clean, well cared for, and ready for your personal touches! Tons of space! 2 parking spots! Extra storage! PEBBLE SHORES at PALM RIVER Condos: ** BRAND NEW ROOF AS OF MARCH! ** **MOTIVATED SELLER** Gulf of Mexico only a few miles away! Youll love walking into this gorgeous 2 bedroom + den end-unit (the largest floor plan in Pebble Shores) with nice flooring and a kitchen with stainless steel appliances and great counters. The master bathroom has a walk-in closet while the guest bedroom has a very large closet. The main living area features a spacious living room and dining room and just off of it is a roomy den currently utilized as a home office. These are often used as a second media room or enclosed to make an additional private room for guests. Pebble Shores has a very long lake; this unit sits at one end, so your view is the length of the lake with a spectacular fountain right outside!  The condo fees are exceptionally low and Pebble Shores is financially strong. The buildings have all new roofs coming and the pool was just completely remodeled this past year! You will LOVE having your own assigned carport space with ample guest parking right in front of your building. It is a gem in the heart of North Naples where you can walk to restaurants and shopping! SWEETWATER BAY at STERLING OAKS Condos: This is a must see! Immaculate, TURN-KEY FURNISHED condo. Gated community LOCATED 3 MILES FROM THE BEACH, 2 BED/2 BATH, Den, along with an outdoor bistro seat. Diagonal Tile & New Laminate Floors, New Pendant light fixtures over island. Fans located throughout the condo that provide wonderful airflow. Stone Back splash, Chair Rail, French doors leading to the den. Upgraded with new, never been used, appliances and a beautiful breakfast bar for early mornings. Top of the line AC with warranty, water heater has been replaced in the last 2 years. Additionally, this unit has great rental history. Excellent for the 2019 season! (Community is Uber/Lyft accessible)Community amenities including an Olympic size swimming pool, hot tub with cabana for lunch and drinks! State of the art TENNIS courts & FTNESS CENTER! Covered parking - 2nd floor unit. Just minutes away from great restaurants, the world famous Ritz-Carlton, MERCATO NAPLES, BONITA SPRINGS, and ESTERO. Can"t get better than this! ABBEY ON THE LAKE at IMPERIAL GOLF ESTATES Condos: Spectacular lake, pool and fountain view from this sunny and spacious Turnkey furnished 2BR 2BA plus den unit. Newer Rheem A/C & Heating unit, water heater (2012) tile floors throughout. Kitchen with Whirlpool cooktop stove and built-in microwave, Bosch dishwasher, newer Hot Pointe refrigerator (2016) and trak lighting. Full sized washer and dryer in closet in kitchen. Den is adjacent to the kitchen. Unit is tastefully furnished. Master bath with walk-in shower. Guest bath with both tub and shower. Comfort level toilets in both baths. Master BR has huge walk-in closet. Guest BR has tile floor that looks like wood. Glass sliders from LR to screened lanai overlooking the lake. Sun shades over the screens pull down to protect from the afternoon sun. Step outside and cast your line to catch some fish for relaxation. It is catch and release policy. Imperial golf complex is gated with a guard. Golf is optional. Unit is close to shopping, dining, art galleries, live theater and pristine beaches of Gulf of Mexico. PEBBLE SHORES at PALM RIVER Condos: Hard to find lst Floor on the lake. You will love the tranquil view from the screen patio a perfect stop to start the day or watch the sunset. Split bedrooms. Eat in kitchen. New designer tile in main areas. Stainless range/oven and dishwater. Low Low maintenance fees. Short walk to the community pool. Perfect location in North Napleswest of Airport Rd. No rentals the first 2 years of ownership. Buyer should confirm all information to their satisfaction information provided by 3rd party.